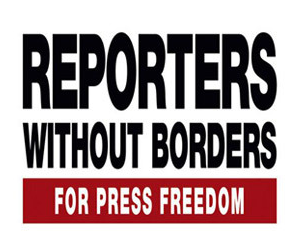 In March 2017, GeoPoll partnered with Reporters Without Borders and the Media Foundation for West Africa (MFWA) for a research project on media ownership in Ghana. The report which was launched in Accra, Ghana on 25th July 2017 titled ‘Media Ownership Monitor’, is based on extensive research that maps out the current ownership status of media in the country as well as focus on the legal framework that regulates the media space in Ghana. Through GeoPoll’s media monitoring service which was launched in Ghana in June 2014, the project was able to draw the most recent, deep and extensive audience measurement data on the reach and audience share of all TV, Radio and Newspaper media both on a national and regional level in Ghana. This enabled the project determine the levels of audience reach and affinity towards the various media platforms and the extent to which these respective media platforms could shape public opinion depending on the media platform’s ownership and its affiliations. According to a press release for the media ownership research report, there is a lack of transparency and limited access to ownership information in the media industry in Ghana. By collating the audience measurement data from GeoPoll on the top media stations in the country, the report was able to collect further data on the nature of the ownership, whether private or state owned. This also further helped the research team probe on political affiliations which could lead to lack of objective journalism. The research findings which are available in a publicly accessible website contain a vast database of all the major media outlets, the companies that own the various media (print, TV, Radio and Online), as well as the faces behind these media companies. GeoPoll’s media measurement service is currently running in 7 African countries including Ghana providing business and organisations with overnight ratings data for radio, TV and newspapers. Get the latest media ratings from Ghana.